How did the Great War affect your family? We all have many stories to tell and WAGS member Bev Russell (#412) is the first to relate that of a member of her family, who having survived the trials at Gallipoli, died in France just fifty four days before the signing of the Armistice. Dudley was born on 9th December 1895, at Tennyson St, Brighton Beach in Victoria, son of Edwin Charles Elliott, a sharebroker, and Kate (nee Marwood) of Broxbourne, Armadale St, Armadale, Victoria, Australia.He was the third child born to Edwin and Kate, having an older brother, Edwin Bruce (born 28 Dec 1886), an older sister, Beryl Marjory (born 9 Nov 1889) and a younger brother, Victor (born in 1899). Dudley moved to WA to live with his uncle Harry and aunt Norma in Geraldton. They were very fond of him. "I feel very sad for my great grandmother"
George William Brown, a blacksmith by trade, was born and raised in Albany. The eldest in a family of five girls and four boys, his father operated a tug boat in Albany Harbour. George was 21 when he enlisted in September 1914 and prior to that, had been a cadet for two years. 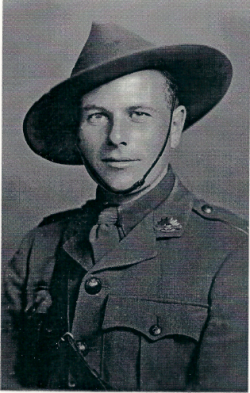 George underwent initial training at Blackboy Hill and sailed from Fremantle to the Middle East with the first contingent from Australia. 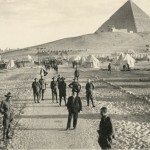 On Sunday 10th January, he was photographed with his comrades high up on the Great Pyramid with his drum around his neck. It would have been a tough climb for a man with a drum! A likeable chap, he was known as “Brownie” by his mates. It was a typical West Australian summer’s morning and Jim Brown felt the heat intensifying in his room, a tiny front addition to his sister’s modest home in the inner Perth suburb of Leederville. By 9am, the house had emptied. Everyone gone about their various tasks for the day. Jim locked the door and reached under the bed for the rope he’d secreted. Positioning a chair under the main rafter, he slung the rope over the beam, secured it tightly and fashioned a noose. Without pausing, he placed the loop around his neck, tightened it and kicked the chair away. It was Monday 16th February 1948. Jim was 59. 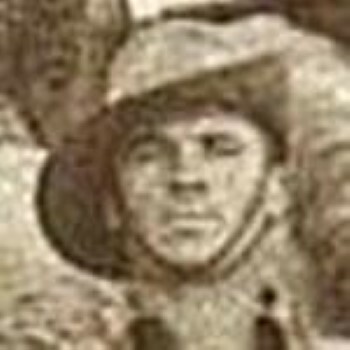 George Boyle was originally enlisted as 253 Armorer Sergeant on 9 September 1914 and attached to B Company of the 11th Battalion. After serving for 43 days and with departure immiment he was discharged by order of a Military Board on 29-30 October 1914 (for reasons unknown). So keen was he to serve and not to be deterred he stowed away with his mates of the 11th Battalion on board the troopship HMAT 11 Ascanius when it sailed from Fremantle on 31 October 1914. He apparently stayed undetected until becoming known to the Officers on board on the 6th of November, by which time the ship was well out to sea. 1914 - 11Bn Stretcher Bearers - Who are they? 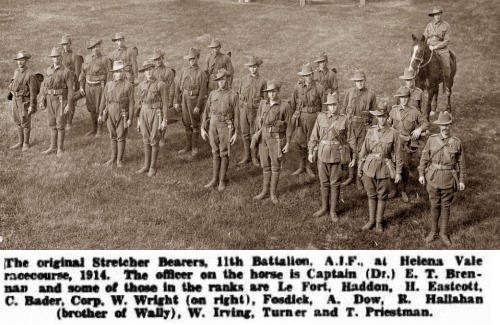 11th Battalion Stretcher Bearers - Who are they? We are endeavouring to name the 11th Battalion men shown in this stretcher bearers photo taken in 1914 at Helena Vale Racecourse - the caption is as it appeared with the photo in "Legs Eleven" published in the Western Mail in 1938-39. Anzac Day 50 years on - 1965 Who are they? 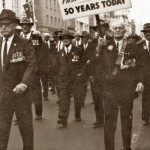 25 April 1965 - Perth Anzac parade - Who are they? 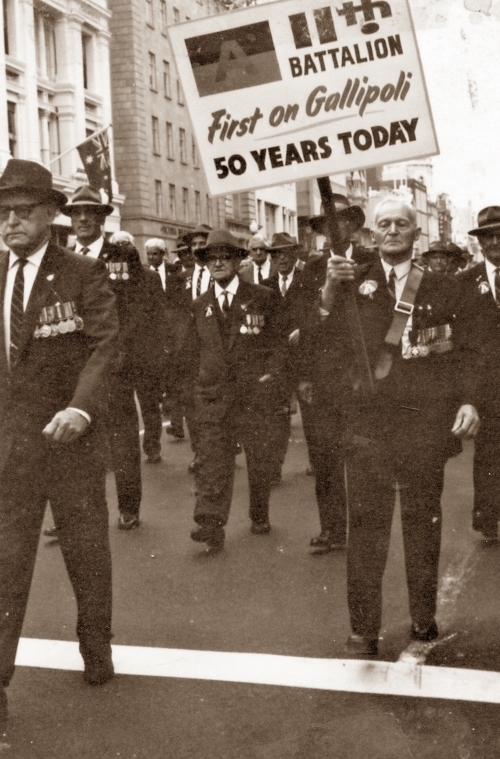 We are endeavouring to name the 11th Battalion men shown in this Anzac day photo from the 50th anniversary parade on 25 April 1965. 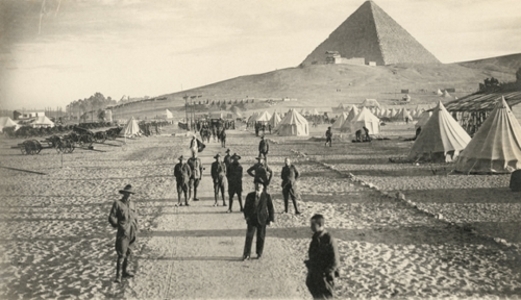 December 1914 – The 11th Battalion has just arrived in Egypt and making their way to Mena Camp in the shadow of the Sphinx and the Pyramids. 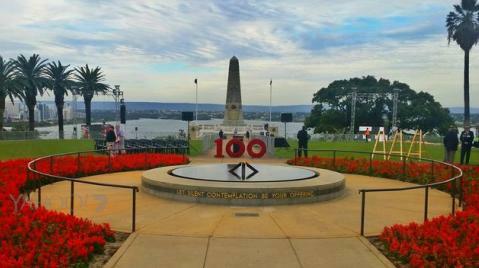 The RSL WA held a series of Sunset Services for soldiers who served in the 1914-1918 war. The videos below are about or include members of the 11th Battalion, and are featured in the WAGS 11th Battalion project. Videos courtesy Channel 7 Perth via The West Australian, used with permission.